This is our first attempt to hold an exhibition centering on paintings in our collection that depict animals and plants. These displays consist of Japanese paintings and ukiyoe woodblock prints from the Edo Period (18th century) and lithographs from the 19th century created in Europe. 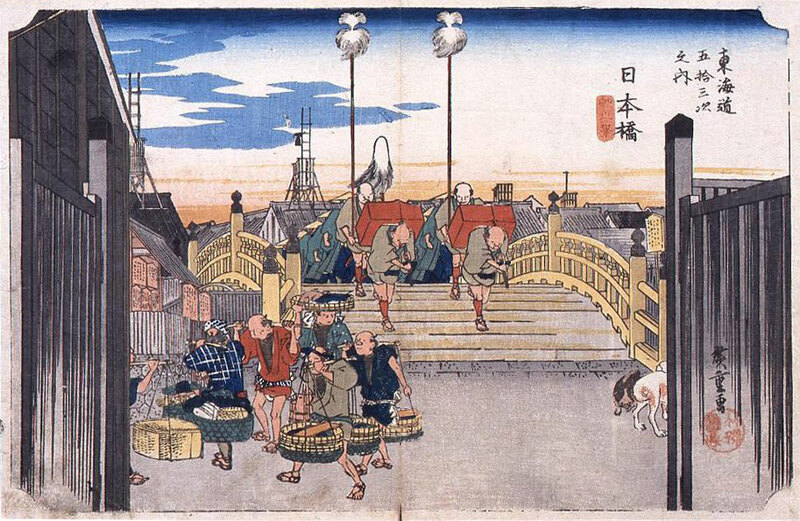 Japanese ones include sketches by Maruyama Okyo, ukiyoe woodblock prints by the world-famous Katsushika Hokusai and Utagawa Hiroshige, and modern oil still-life paintings by Kumagai Morikazu and Takama Soshichi. 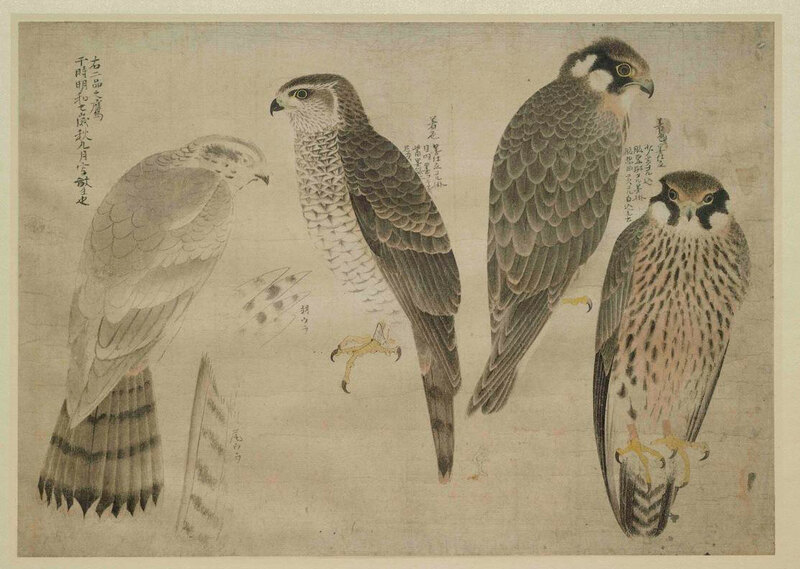 The ones from Europe are lithographs, with colors added by hand, in Fauna Japonica and Flora Japonica published by Siebold, a German doctor and biologist who lived in Japan. A wild plant picture book from England and an Asian bird picture book from Asia, both of which were published around the same period, are also on display. * The selection for the display is planned to change during the exhibition period. This exhibition traces the historical transition of print works in our collection. The main exhibits are the Dharani Sutra (created during the Nara Period), stored in one of the Hyakumanto (one million pagodas), the oldest traceable publication in the world; and ukiyoe prints and wahon (print books in Japanese bindings) produced during the Edo Period. Other exhibits include those created using a variety of techniques, such as Buddhist images printed in ink from the Heian Period, Saga Books with woodblock prints from the early Edo Period, as well as Ito Jakuchu’s rubbing prints and Shiba Kokan’s copper-plate prints. This exhibition also displays the former personal collections of print books of Kaizuka Shigeki (Professor Emeritus, Kyoto University) and Sasaki Gozo (Professor Emeritus, Waseda University). Under the theme of jade and glass, both of which allow light to pass through, this exhibition introduces jade ware and glassware of China and Europe from our collection. Jade is a type of mineral, which has been highly valued since the Neolithic age in China, and a material from which a great number of artifacts have been created to date. With regard to glasswork in China, some were fashioned as copies of jade work from ancient time, while colorful works using different colored glass were created during the early modern period. In addition to those from China, this exhibition includes items from Europe, such as ancient colored glass from the Mediterranean region and Bohemian glass from the late 19th to early 20th centuries. This exhibition offers a great opportunity to appreciate the beauty of jade and glass and the elaborate handiwork involved in the ware on display. This exhibition is an Osaka-Tokyo collaboration held at our museum in Izumi City, Osaka, with support from Tokyo Fuji Art Museum, displaying mainly portraits and landscapes created by popular Japanese and European artists among the general population in Japan. It offers an opportunity to learn the different ways of expression, and the unique characteristics of artists from the East and West in the early modern to modern periods. 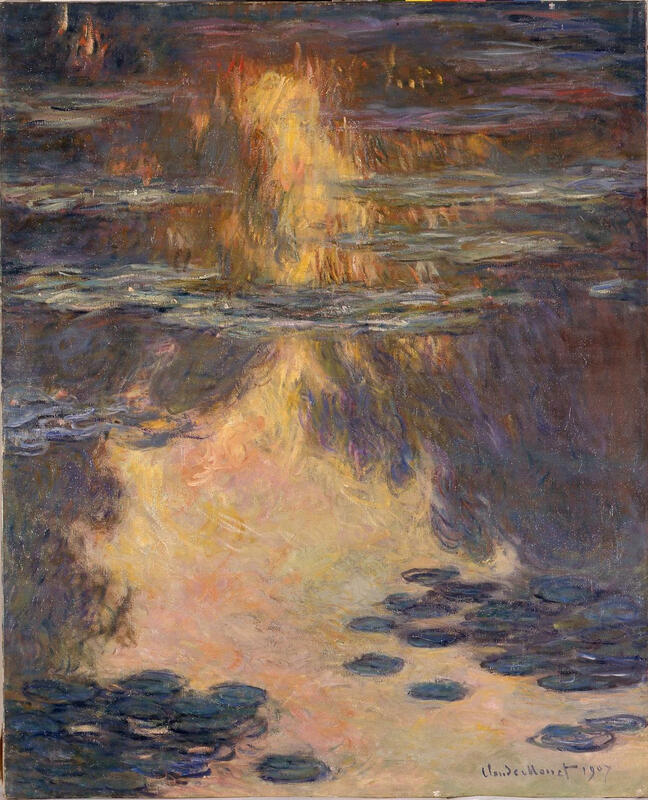 These artworks have been selected from the collections of both museums, and include works by Katsushika Hokusai, Ito Jakuchu, Monet, and Renoir. 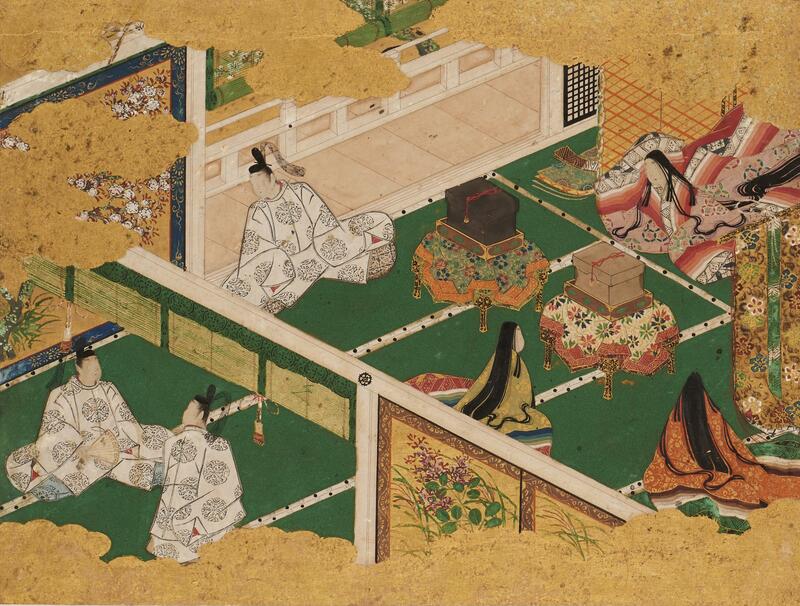 Genji Monogatari Tekagami in our collection is a designated important cultural property, and a compilation of 80 pages, each of which bears a painting by Tosa Mitsuyoshi, an artist of the Tosa School in Sakai, Osaka from the beginning of the early modern period. The passages accompanying each of the scenes were copied by hand by 18 court nobles. Following designation of this work as an important cultural property in 2013, we conducted a preservation/restoration project over four years, starting in 2014. This exhibition is being held to commemorate the completion of the restoration and all 80 pages will be exhibited in rotation. A number of emaki handscrolls from the museum collection produced from the Kamakura to Edo periods will be on display, and the works will be changed over the course of the exhibition. On display will be such works as the Kamakura-period Komakurabe Gyoko Emaki and Ise Monogatari Emaki (both important cultural properties), and the Muromachi-period Sanno Reigen ki (Important cultural property) and Edo-period Kobodaishi Gyojoki (Account of Life and Deeds of Kobodaishi). Also on display will be many notable works from the museum collection that came to Japan from China’s Southern Song Dynasty through the Imperial Family or the House of the Tokugawa Shogun such as Bansei, celadon vase with phoenix handles, Longquan ware (National treasure) and Shrike in barren tree by Miyamoto Musashi (Important cultural property) on display from May 2 to 27. Note: The works exhibited and layout may change during the exhibition. European cartography began and reached its height between the 16th and 17th century. Map-making was originally centered in Amsterdam and shifted to Paris over time. Maps were progressively updated as explorers crossed the oceans in search of new continents and returned to Europe with new discoveries. Maps represented an evolution of how people perceived the world as they reached outward with their imaginations. As scholarly advances were made in such areas as astronomy and geography, so too did technological change come, changing map-making in fundamental ways, including the detail of what was represented in maps. The “Expansion" in the title of the exhibit refers to the expanding world as it appeared on paper, and how people were stimulated by the desire to know the unknown—motifs embodied in the world of cartography. 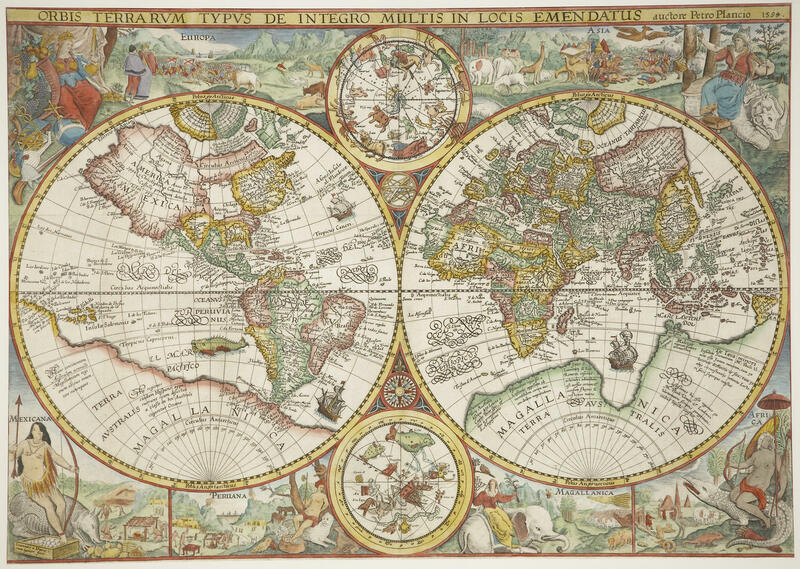 The exhibition offers a close look at ancient maps to see how world maps evolved between the 16th and 19th centuries, which can also provide insight into how people’s world views changed during that time. This exhibition takes a close look at the heroes, heroines, and villains (mononoke) that appear in today’s manga and anime, derived from ukiyoe prints in the Fourth Kuboso Collection. All 36 prints in the Toyokuni Kigo Kijutsu Kurabe series (A Contest of Magic—Scenes by Toyokuni) by Utagawa Kunisada will be on display along with all 24 prints of Wakan Hyaku Monogatari (One Hundred Ghost Stories of China and Japan) by Tsukioka Yoshitoshi. Enjoy the world of Ukiyoe prints enhanced by excerpts of novels and stories in which the characters appear from the works on display. This exhibition will be held in connection with exhibitions at the Osaka Municipal Museum of Art (in 2017) and Sakai City Museum (October 2018). The exhibition focuses on the Tosa School of painters and the Sumiyoshi School, a later branch in the Momoyama period, both of which had been based in the Izumi area. The two schools were devoted to yamatoe, paintings specializing in techniques derived from ancient Japanese art. 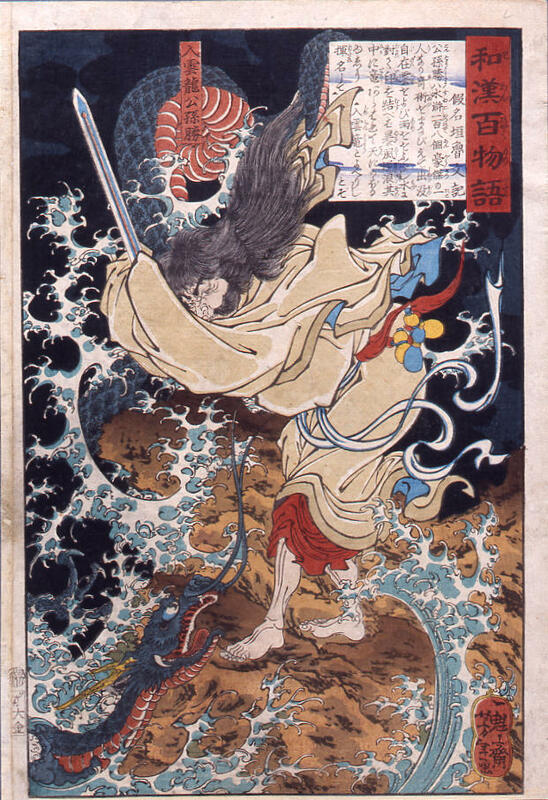 Much of the subject matter came from stories and waka poems, and the compositions used rich coloring. This exhibition provides an overview of yamatoe, and how it changed from the Muromachi to Edo periods, with a focus on the painters Tosa Mitsunori and Sumiyoshi Jokei, who had roots in the Izumi region. 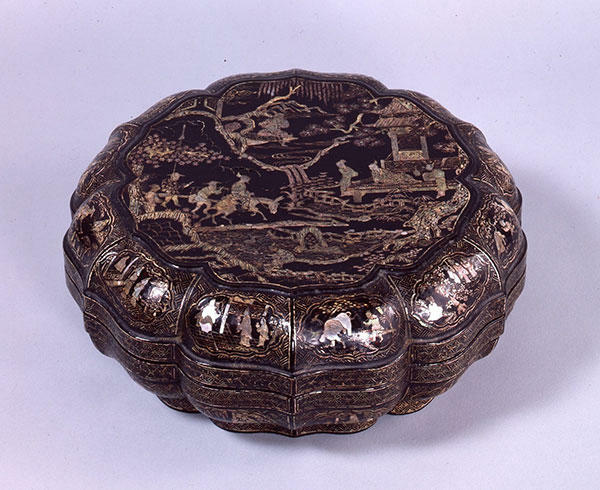 Approximately 60 antique lacquerware objects from Japan and China from the museum collection will be on display. There is a long history of handicrafts made with lacquer, dating back to the Neolithic age in China and the Jomon period in Japan. Lacquer dries hard to form a waterproof seal while providing a beautiful luster. 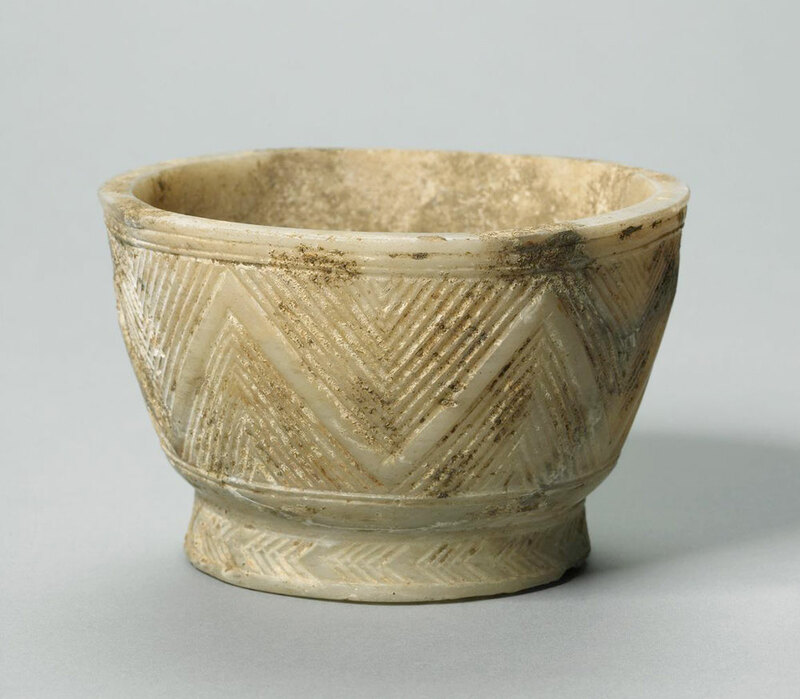 For such reasons it was used in a variety of ways—on ordinary vessels for eating and drinking, tea utensils, personal ornaments, stationery, and implements and adornments for temples and shrines. 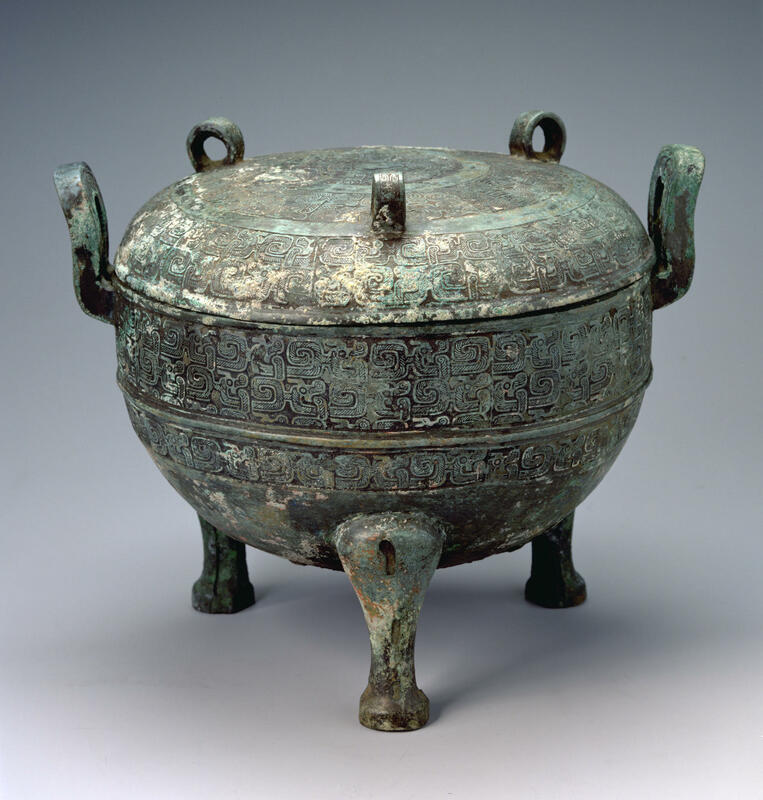 Visitors will see objects made from a single lacquer color, black or vermillion, lacquerware sprinkled with gold or silver dust, even mother-of-pearl lacquerware with bright blues and reds. 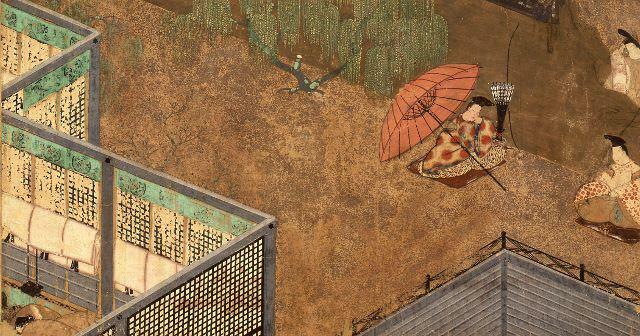 Genjie, paintings illustrating sections of The Tale of Genji, will be on display, starting with the Genji Monogatari Tekagami (Important cultural property) by Tosa Mitsuyoshi, the leading Tosa School painter of the Momoyama period, from the museum collection. Other works will include ukiyoe prints by Edo-period artist Utagawa Toyokuni III (the first Kunisada) and the second Kunisada. 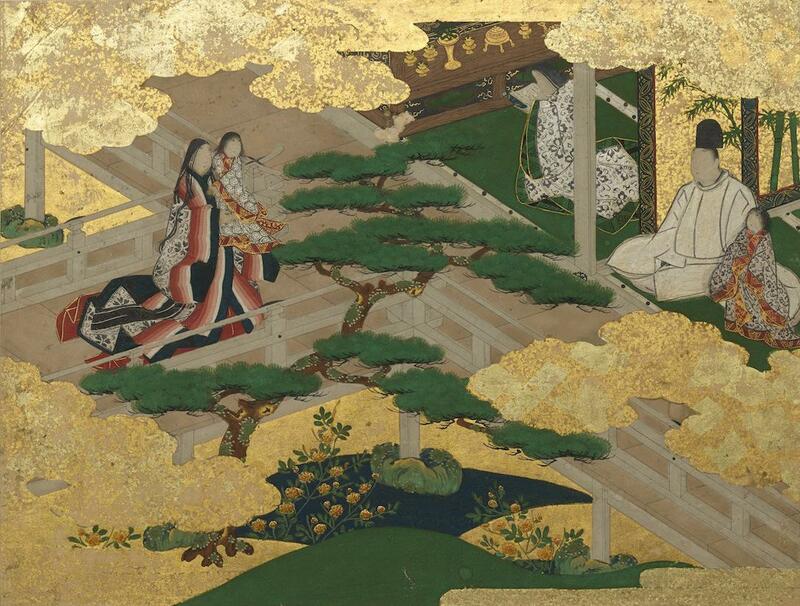 The Tale of Genji was written in the 12th-century Heian period by Murasaki Shikibu, and classic genjie that illustrate the story are on display, along with illustrations of Nise-Murasaki inaka Genji (Parody of The Tale of Genji) authored by Tanehiko Ryūtei that was in fashion in the late Edo period. Enjoy both worlds of genjie. 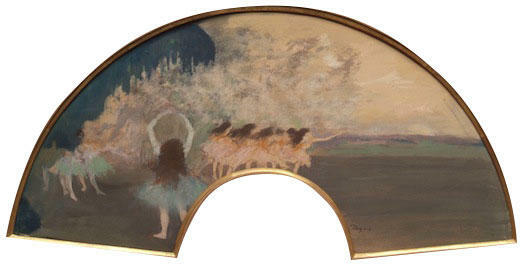 Copyright© Kuboso Memorial Museum of Arts, Izumi All rights reserved.